BETHLEHEM (Ma’an) — Israel’s Shin Bet security agency recently uncovered a “Jewish terrorist ring” which carried out a number of acts of violence targeting Palestinians in the northern occupied West Bank, Israeli security services revealed on Wednesday. At least seven right-wing Israeli extremists were arrested earlier this month after being suspected of belonging to a ring which committed a number of anti-Palestinian acts, Israeli police spokeswoman Luba al-Samri said in a statement after an Israeli authorities-issued gag order was lifted on the case. The suspects include a 19-year-old Israeli soldier, two 20-year-old men, and a 17-year-old, the police statement added. Israeli media identified some of the Israelis arrested as Pinhas Shendrofi, 22, from the illegal settlement of Kyriat Arba, and Itamar Ben Aharon and Michael Kaplan from the settlement of Nahliel in the central West Bank. Israeli daily Haaretz reported that two minors and the soldier, whose identities were prohibited from publication under an Israeli military court gag order, were brothers from Nahliel belonging to the Shendrofi family. Yigal Shendrofi, the suspects’ father, is a rabbi linked to Israel’s extremist right wing, Haaretz added. 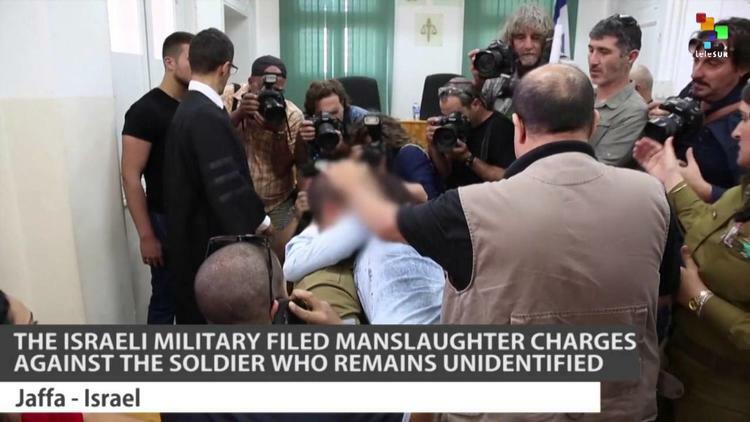 The Israeli army declined to comment on the case of the soldier suspected of belonging to the ring. Al-Samri said the suspects confessed to attacking an elderly Palestinian farmer in June with rods and pepper spray, as well as hurling Molotov cocktails and tear gas canisters at Palestinian homes in November and December. They also admitted to torching Palestinian cars and tagging racist slogans such as “death to Arabs” on Palestinian property. The ring members said they were in part “inspired by the Duma arson attack,” the police statement added, in reference to a deadly attack in the northern West Bank village of Duma in July by extremist Israeli settlers, which killed an 18-month-old baby and his parents, with a four-year-old boy remaining the only survivor of the fire. However, Israeli news site Ynet reported that the suspects were also being investigated for acts dating back as far as 2008. A lawyer from Zionist legal aid organization Honenu, which is representing the suspects in the case, downplayed the accusations against them. “In contrast with all sorts of rumors and half-publications, most of the offenses investigated in this matter involve no harm to human life, and most are no more than a scuffle between people,” Ynet quoted Aharon Roza as saying, before condemning the fact that the suspects have allegedly not been given proper access to an attorney. Meanwhile, the organization Rabbis for Human Rights hailed the arrests, while similarly expressing concern over the treatment of the suspects. The Israeli court system has received international criticism for its longstanding policy of immunity for Israeli forces and settlers, while Palestinians hold widespread distrust for the system. A joint investigation by Israeli rights group B’Tselem and Hamoked earlier this year reported that Israel’s court system routinely postpones or slows down investigations regarding violations against Palestinians, with the intent of pushing families or individuals to eventually drop their case.